Beat butter,sugar and lemon zest foamy and add one egg after another until smooth.Add mixed quark,flour and water and lastly optional the raisins.Make golden brown pancakes. My maternal grandmother used to make them,a dessert from East Prussia called Ostpreußische Quarkplinsen.I still have my grandmothers little handwritten cookbook with her favorite recipes. 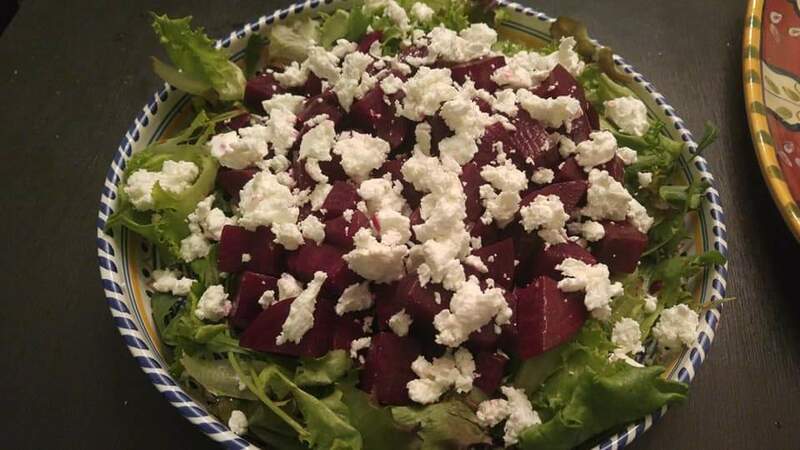 And my beet and goat cheese salad. Tonight will be much easier. I pulled a batch of red sauce and meatballs out of the freezer. I will serve with rigatoni. I plan on making some garlic bread too. Cutting up ingredients for a slow cooker beef stew, for this evening. 12° here this morning. Beautiful, sunny, day, but I just can't get warm. Think I am going to throw together a stir fry with leftover Teriyaki chicken. The sauce was too strong and thick for me. Thinking if I stir fry it with lots of veggies and some ramen noodles, it will mellow it out a bit. You could also add some vinegar to thin it out and make it less sweet. SO asked for chicken stir fry with fried cabbage, shrimp chips and white rice. So be it. Using the bones from the chicken I bought on Saturday to make a broth which I'll use for Avgolemono. I threw a chicken breast in the pot which I'll dice and add at the end. Curried ground turkey with potatoes and peas, chana masala, and maybe some rice. 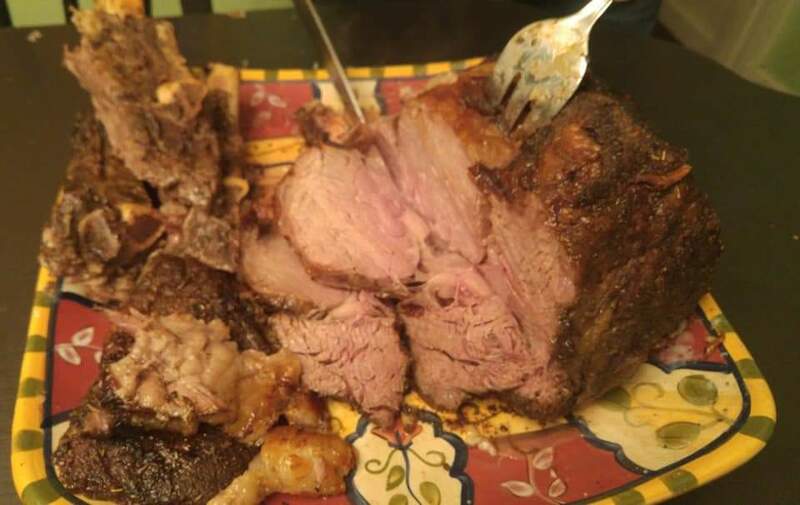 Alm, thanks for sharing that recipe, I am going to try and make some this weekend. 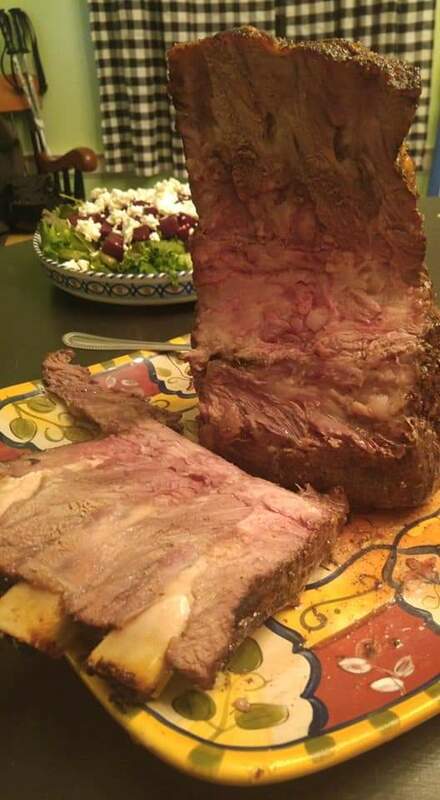 magicshark, that meat has me drooling and now I am craving prime rib. Tonight we are having homemade seafood ravioli in a lemon cream sauce (I gave Mr. Praline the recipe and he wants try his hand at using my ravioli maker, so we'll see). He is toasting slices of garlic bread and I made a salad (spinach, strawberries, feta, walnuts) and we'll have a bottle of wine to wash it all down. I am still not myself yet and I am turning him loose in the kitchen for awhile.